This recipe for strawberry margarita jam is perfect for when you are bored of making strawberry jam, or when you simply need a change of pace from the ordinary. Give it a try, I don’t think you’ll be disappointed. I always love to make special jams, but then I sometimes find my self wondering what to do with jam that doesn’t really belong on a peanut butter and jelly sandwich. What? No tequila on a PB&J? However, I am not opposed to having this on an English muffin for breakfast. Other ideas to use this jam as a topping for a lemon tart or bar, swirling into a cheesecake or as a cheesecake topping. I’m thinking a key lime cheesecake would be especially fun. Or using it as a filling with a little lemon curd in teeny tiny little tarts. If you have any other suggestions, please leave them in the comments. When I’m making unique jams, I like to can them in cute little jars and then I plan to gift several of them at the holidays or as gifts throughout the year. You probably won’t want four or five jars of this in your pantry. Or, then again, maybe you will. It’s that good. When I was making this batch, the tequila smelled a little strong, but it mellowed out nicely in the final product. Do not be afraid! I can only imagine that the flavor will only get better as the jam ages a couple of weeks. Make sure to sample your tequila as you are cooking, otherwise what’s the point of cooking with liquor? I chopped my lime zest into teeny tiny pieces so that it disappeared into the jam. You can barely tell it’s in the end product. 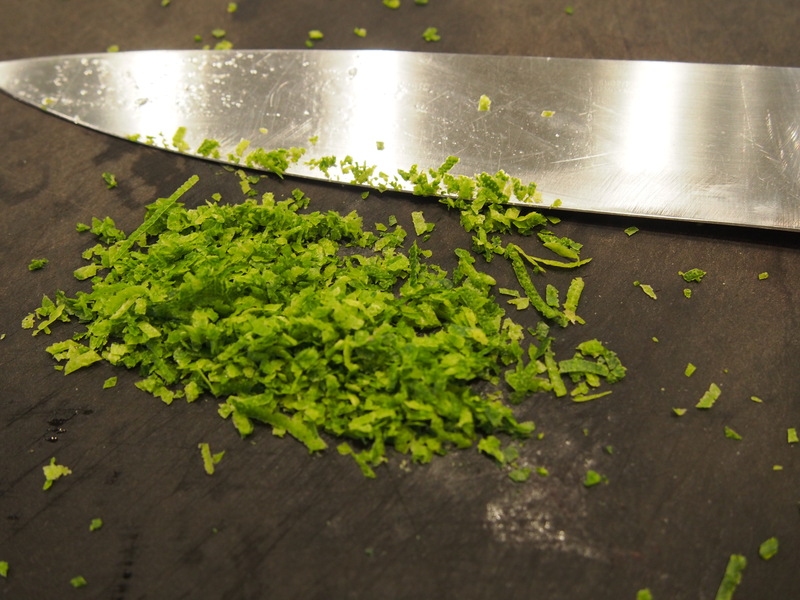 That’s a good goal to aim for – no one wants tiny bits of lime zest in their teeth. Zest your limes (it took me three limes) before you juice them. This recipe uses Ponoma Pectin to set the jam. This pectin allows me to use a lot less sugar than regular pectin and you don’t need to cook the strawberries for very long. If you haven’t used this type of pectin before, I recommend checking out their product. 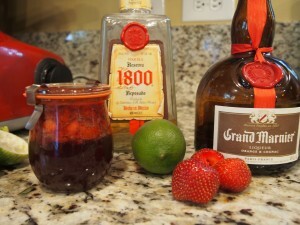 The low sugar and short cooking time allow the flavor of the strawberries and lime to shine through the final product. It really does taste like a strawberry margarita. This Strawberry Margarita Jam is a great addition to your pantry. Try it with cheesecake or anything involving lemon curd. Combine room temperature honey and pectin in a small bowl and stir to combine. Set aside. Combine strawberries, lime juice, tequila, orange liqueur, lime peel and calcium water in large saucepan, jam pot, or stock pot. Bring to roiling boil, stirring constantly. Add honey and pectin to strawberry mixture. Bring back to boil, stirring constantly. Boil and stir for 1 minute or until honey is completely dissolved. Remove from heat. Fill hot jam jars with ¼ inch headspace. Clean rims and place lids on jars. Allow jars to cool completely before checking seals and storing.